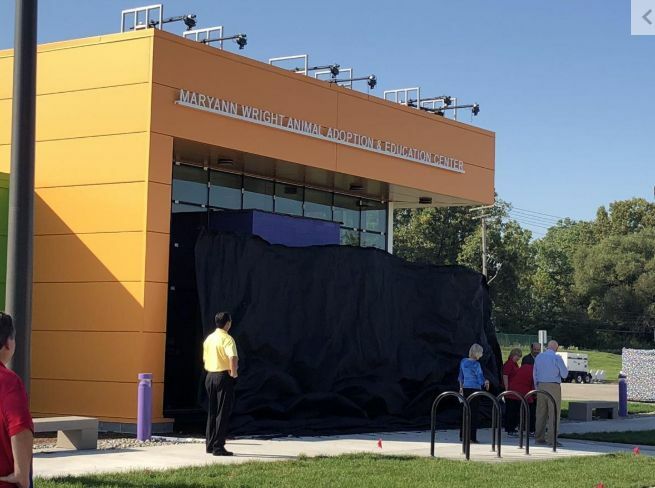 More than nine months after a groundbreaking ceremony, the brand new MaryAnn Wright Animal Adoption and Education Center was officially unveiled in Dearborn on Sept. 18. Dearborn City Council President Susan Dabaja plays with a kitten during a tour of the new facility. The center was named after Wright, who has been one of the leading donors and top volunteers working to get the project off the ground. Wright herself donated over $1 million to the efforts. The state-of-the-art animal shelter will provide homeless animals a refuge in an environmentally-friendly facility. This is one of the dogs that moved into the MaryAnn Wright Animal Adoption and Education Center the day it opened. It replaces the current shelter at 2661 Greenfield Road, which is more than 30 years old, overcrowded and no longer suitable for the animals or the people who care for them. According to Friends for Animals of Metro Detroit Executive Director Elaine Greene, this new facility is only phase one of the project.